When Xenoblade Chronicles 2 first released back in December 2017, the Collector’s Edition came bundled with an artbook. Monolith Soft have announced today that a new official artbook for Xenoblade Chronicles 2 will release on February 2nd in Japan. 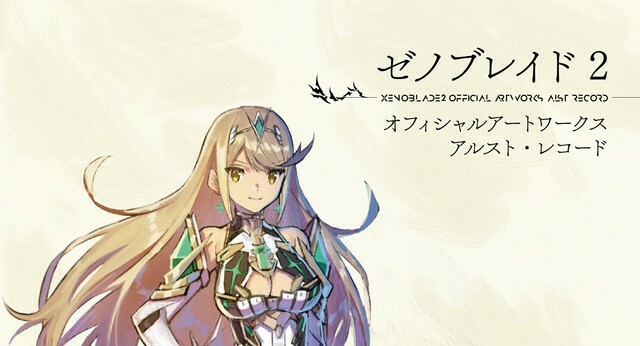 The artbook will be titled “Xenoblade 2 Official Artworks Arst (Alrest) Record.” It will feature artwork from Xenoblade Chronicles 2 as well as Torna: The Golden Country. The 352 page book will contain all sorts of sketches and artwork on characters, enemies, weapons, landscapes etc. It also lists every line of the in-battle dialogue and the Heart-to-Hearts. Main Character designer Masatsugu Saito specially designed the cover of the artbook. Xenoblade 2 Official Artworks Arst (Alrest) can be pre-ordered on the Amazon Japan Website for 2,900 Yen + taxes.